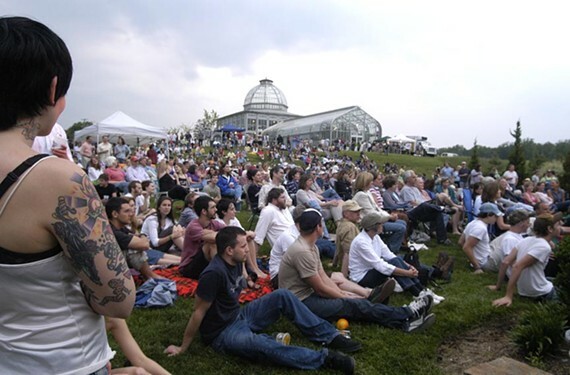 Lewis Ginter’s Groovin in the Garden series, which has hosted artists ranging from Aimee Mann and Mavis Staples to Dweezil Zappa, has been on hiatus for two years. Last year, organizers of Groovin’ in the Garden announced that the series would be going on a two-year hiatus because of the construction of the Cherry Tree Walk, and that Haymaker Productions, which booked the music, would continue holding events at Maymont. Well the new walk is now installed, but publicist Beth Monroe says that a decision hasn’t been made about whether to continue the series. One should come at the end of the two-year period in 2016, she says. If you’re really missing Groovin’, you can catch Flowers after Five concerts featuring local acts on the second Thursdays of each month outside the historic Bloemendaal House.